Carlson Rezidor brings the Radisson Blu Hotel to Dhahran, Saudi Arabia as part of its expansion across the Kingdom. The upper upscale scale hotel featuring 74 suites is Carlson Rezidors first property in Dhahran, a thriving business city and a major administrative centre for the Gulf states oil industry. The hotel will welcome the first guests mid of June. Carlson Rezidor brings the Radisson Blu Hotel to Dhahran, Saudi Arabia as part of its expansion across the Kingdom. The upper upscale scale hotel featuring 74 suites is Carlson Rezidor’s first property in Dhahran, a thriving business city and a major administrative centre for the Gulf state’s oil industry. The hotel will welcome the first guests mid of June. 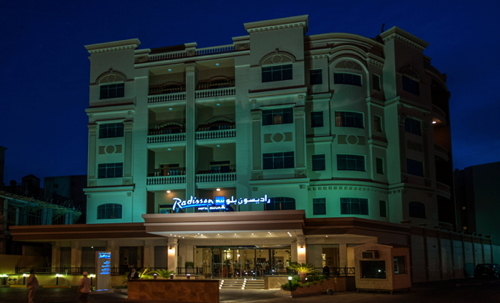 Situated on Zaid Ibn Al Khattab Street in the heart of Dhahran, the Radisson Blu Hotel, Dhahran is ideally placed close to both Al Khobar city centre and Dammam. The hotel is located just 40 minutes from King Fahad International Airport, five minutes from the picturesque Corniche and 2km from the bustling Mall of Dhahran. Catering to leisure and business travelers, the Radisson Blu Hotel, Dhahran features an outdoor swimming pool, spa and fitness centre. Two fully-equipped meeting rooms are available for a wide variety of events and social gatherings while a convenient lobby café and all-day dining restaurant offer plentiful dining options. Carlson Rezidor currently operates 30 hotels with more than 8,000 rooms across the Middle East and Africa. The sophisticated upper upscale brand Radisson Blu and the dynamic midscale offer Park Inn by Radisson are the group’s core brands. Are you with Radisson Blu? If you are a member of Radisson Blu you may be interested in learning how to optimize your content on our network.